We are a fast growing provider of the finest product range, functioning from our base in Mumbai(India). We state our payment terms on the invoice we sent to our clients. Moreover, our payment procedures remain simple and free from any sort of hassles. We offer both online and offline payment processing. Type : Welding Neck, Slip-on, Blind, Socketweld, Long welding neck, etc". Rajshree Overseas manufacturer and exporter of Alloy Steel Forged Flanges, as per customers drawing or specification. 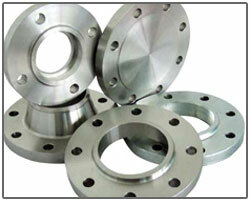 We are one of the best and superior Alloy Steel Forged Flanges Manufacturer in Mumbai India.